Pamela Shamshiri isn't a "designer," she's a storyteller. 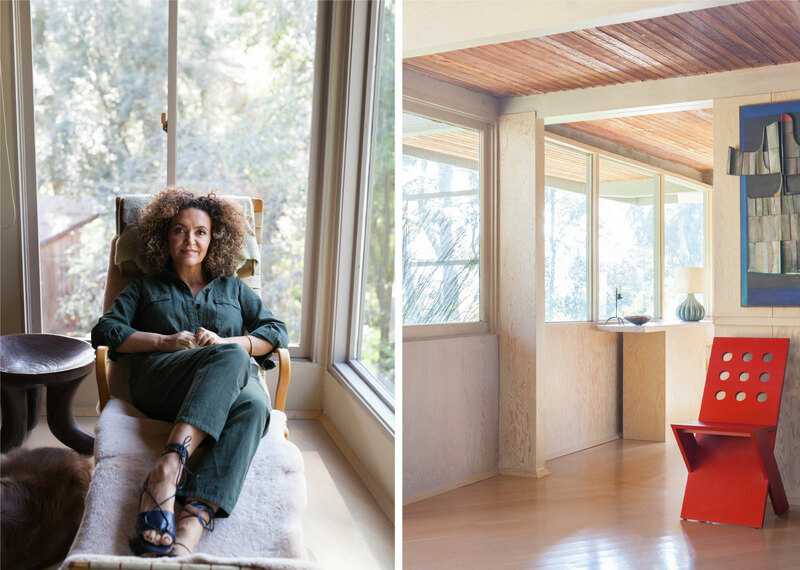 As the co-founder of Los Angeles-based Studio Shamshiri (and previous co-founder in the design firm Commune), her vision and concepts are rooted in engaging all the senses, embracing "complexity and layers," and considering the inherit emotion and life within a space. 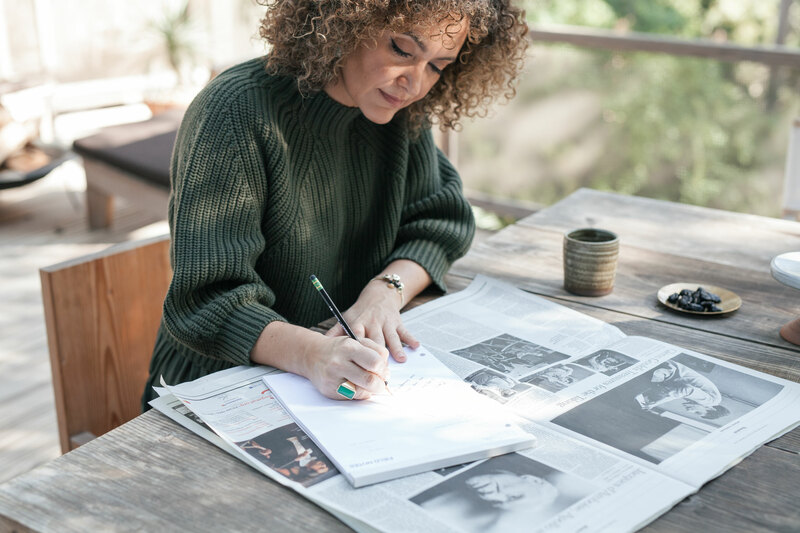 We first featured Pamela in this series in 2016, when she had newly launched Studio Shamshiri and stood at the precipice of a year of change (you can read that story here!) Since then, we've followed and admired the thoughtfulness and care with which she has grown her business, working and living in tandem with her ethos. 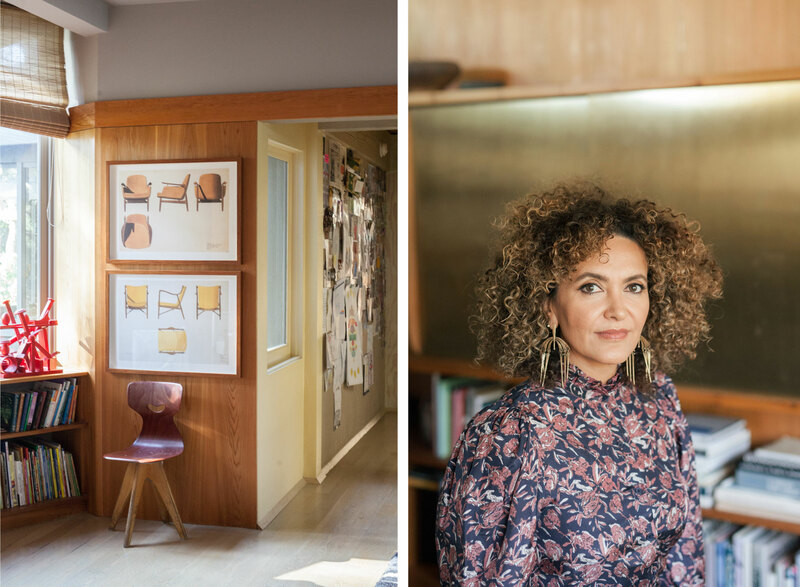 We revisited Pam for a further conversation on the specifics behind her design, discussing how she conceives of her work and how we can incorporate some of her philosophies into our own homes. Your interiors are emotionally evocative in a way that feels perfectly balanced — what feeling are you searching for in creating a space? “A feeling that doesn’t have a word” — that’s what I’m after in this era of my life. I’m embracing complexity and layers. Life isn’t straightforward or black and white so why should interiors be? We want spaces that are equally multi-faceted so our approach is to really look at the “ingredients” or more specifically the mix of design elements. Color is extremely emotional and contributes significantly to the equation psychologically. How does a space really come alive for you? When it is inhabited and taken over by LIFE. I don’t mind the mess of real life. If I’ve done my job well, the bedroom looks great with an unmade bed and clothes everywhere. What do you consider your design ethos to be — what principles, ideas, or emotions are at the core of any project you do? At the ethos of our approach is honoring the place. The neighborhood, the era that it was built in, the culture, the architecture, the weather. We always start with a heightened sense of the place, honor the architecture, then layer in the “inhabitant” and their collection. Are there any unexpected questions you always ask when you’re starting on a new space? How do these conversations begin? I always ask about feelings and experience. What kind of memory or feeling is the client after? I first let the list of things happen, then when everyone is relaxed, I go after the experience and why this project is happening. 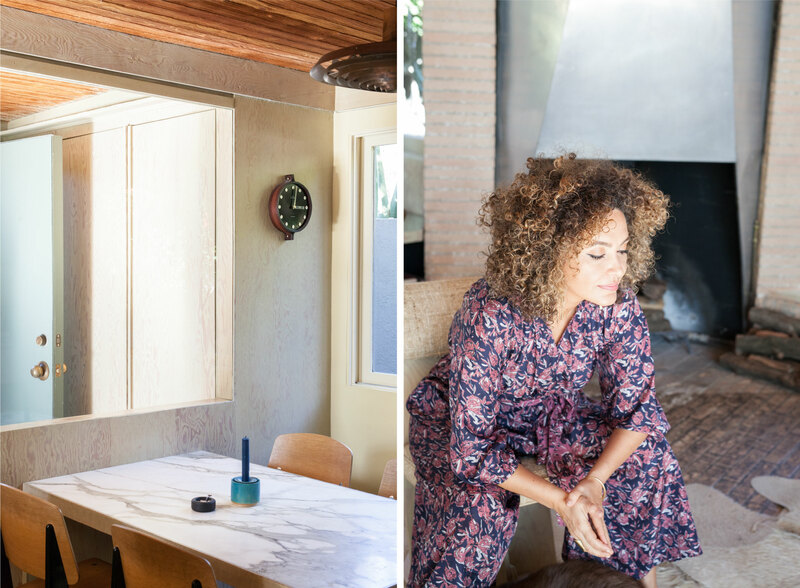 Do you have any advice for small considerations or questions that we can ask ourselves in creating spaces that have emotion — especially when its on a limited budget or perhaps in a smaller urban apartment? For me, it’s the everyday objects that can really add to your experience. The “smalls” like the scrub at the sink, your soap dish, shower storage, sheets, and towels. It’s all those things that you touch and interact with that slowly but surely have an impact on your daily experience. What are some sensorial details that you are really loving right now — sounds, tastes, feelings; interdisciplinary details that are firing your senses and inspirations? Two things that sound very practical. First, I’m so happy there are alternatives to sponges finally in copper and natural brushes. They are much more hygienic and visually pleasing and less disposable! A second exciting thing is zippered vegetable bags made out of flax seed linen. Your lettuce, herbs and fruit last longer and plastic use is limited, which is very important to me. Are there any unexpected pairings you are interested in right now? In palette, geographical influence, texture, etc.? I am still drawn to the details and finery of the 1940’s as far as upholstery, fabric, and ruffles. I’m drawn to old historical colors like shrimp and salmon. Geographically, I find myself traveling to and being influenced by ancient areas such as Greece, Rome, Egypt, and Iran. There’s something about a much older way of life that feels pure and important right now. This has lead to lots of odd pairings like the 40’s and usual Italian 60’s with antiquities … like Gandaran and Etruscan. What books, articles, or readings are on your nightstand right now? Milan Kundera right now. “Unbearable Lightness of Being” again! I am still just as much of a romantic and just as tortured as when I first read it!